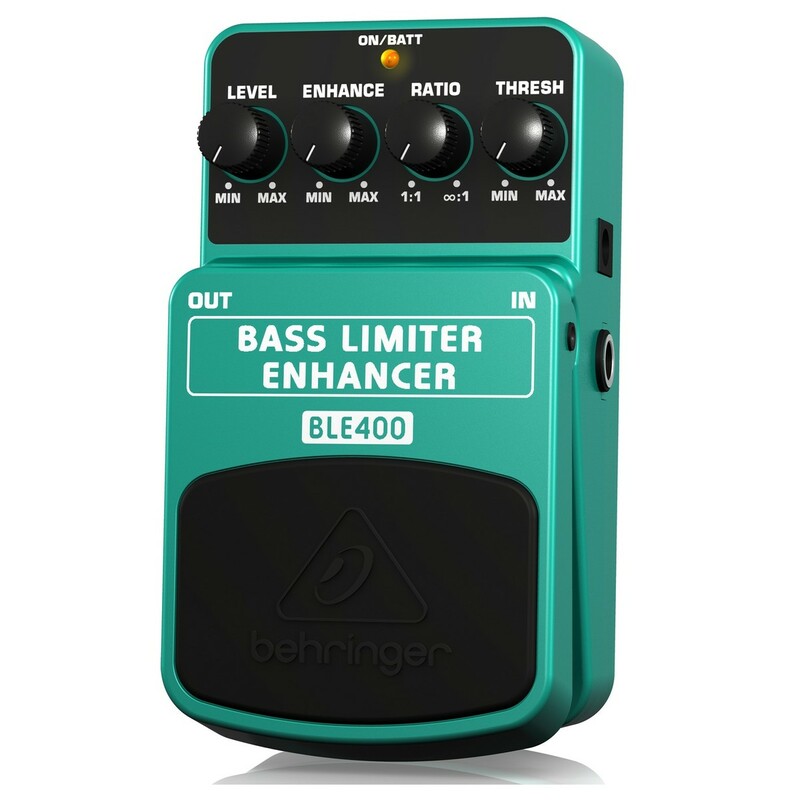 The Behringer BLE400 Bass Limiter Enhancer Pedal is designed to gives bass guitarists a smooth overall sound, eliminating volume peaks. When switching up playing styles, bass guitarists may experience inconsistent signal levels that can be damaging to their sound. 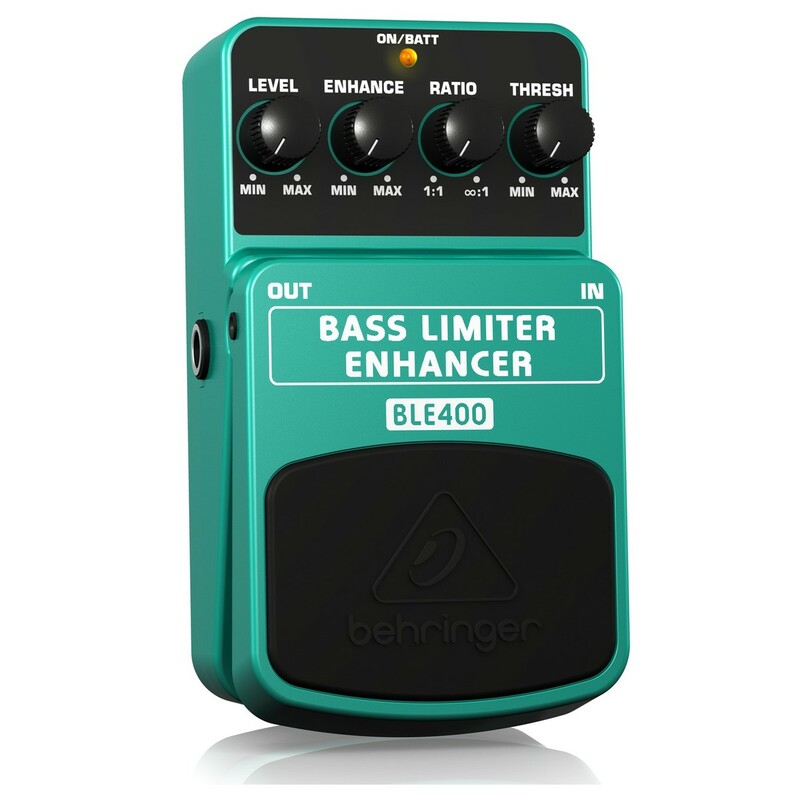 The BLE400 smooths out these levels with the integrated compression control, giving the bass a much more refined performance. The limiter pedal features level, enhance, ratio and threshold controls to give users an easy and simple way of sculpting their desired sounds. An electronic on/off switch ensures noise-free operation whilst the LED shows the status of the battery life. The BLE400 runs on a 9-volt battery or the Behringer PSU-SB DC power supply (sold separately). Even the best bass players find inconsistencies within their sound when switching up their playing styles. The BLE400 compresses these different sound levels so the loud signals are matched by the softer sounds for a more balanced performance. 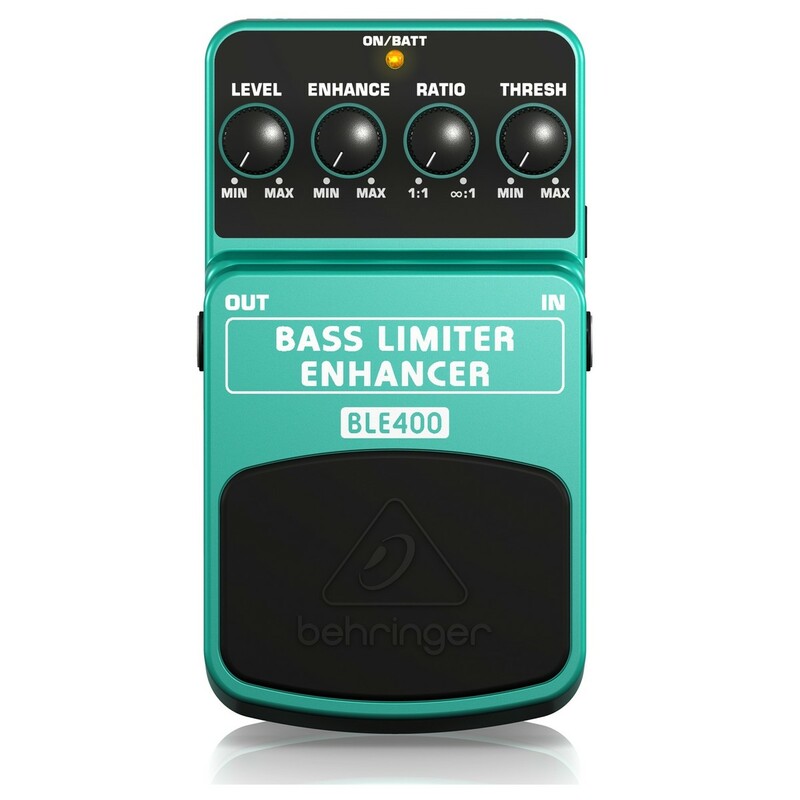 Compression effects can tend to make your guitar sound over-processed in some scenarios, and therefore the BLE400 bass limiter features an enhance control to add the perfect amount of pop. The limiter pedal includes dedicated level, enhance, ratio and threshold controls that are incredibly easy to use and offer an intuitive method of shaping your sound. The ratio control lets you adjust the compression levels whilst the threshold control decides where the compression is active. There is a noise-free on/off switch and a mounted LED to monitor battery life and when the pedal is in use.